In the process of developing a new pattern, I make numerous samples to try on models in the pursuit of a perfect fit or that stylized look. Samples may not be the final pattern design, but one of many in the design process. Occasionally, in the process of developing a pattern, I make up a limited number of items to sell if I enjoyed the creative process of making it in a variety of colors and fabrics. 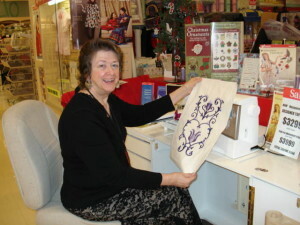 The Trendy Apron is one of these patterns. Although the pattern instructions are not yet complete, I have made over 10 samples, since I absolutely loved making them. They are so precious with their polka dot ribbons and embroidered cupcakes. Some of the aprons were purchased and I just embellished. That was also fun! Most of the items are of limited supply and may never be offered again. Check them out periodically. Also Check out my Repertoire page. 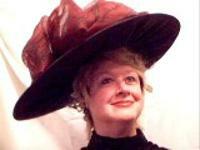 I will be posting the Victorian and Edwardian costumes I created and wore to special events. Someday soon I may be selling them, too. They take up so much room in my home. And, as I love to do best, use your creativity to “Make Your Material Dreams Come True!” Enjoy!